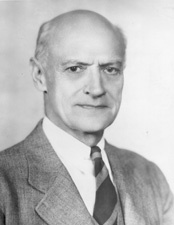 SMITH, Howard Alexander, (uncle of Peter H. Dominick), a Senator from New Jersey; born in New York City, January 30, 1880; attended the Cutler School in New York City; graduated from Princeton University in 1901 and from the law department of Columbia University in 1904; admitted to the bar the same year and commenced practice in New York City; moved to Colorado Springs, Colo., in 1905 and continued the practice of law until 1917; during the First World War served in the United States Food Administration in Colorado and Washington, D.C.; member of postwar relief organizations in 1918; moved to Princeton, N.J., in 1919 and served as executive secretary of Princeton University until 1927; lecturer in the department of politics at Princeton University 1927-1930; resumed the practice of law in New York City 1932-1941; member of the Republican National Committee 1942-1943; elected on November 7, 1944, as a Republican to the United States Senate to fill the vacancy in the term ending January 3, 1947, caused by the death of W. Warren Barbour; reelected in 1946 and 1952 and served from December 7, 1944, to January 3, 1959; was not a candidate for renomination in 1958; chairman, Committee on Labor and Public Welfare (Eighty-third Congress); special consultant on foreign affairs to the Secretary of State 1959-1960; died in Princeton, N.J., October 27, 1966; interment in Princeton Cemetery. Leary, William, Jr. Smith of New Jersey: A Biography of H. Alexander Smith, United States Senator From New Jersey, 1944-1959. Ph.D. dissertation, Princeton University, 1966; Smith, H. Alexander. Information and Intelligence for Congress. Annals of the American Academy of Political and Social Science 289 (September 1953): 114-19.